Its nighttime, you’re in the clouds, the autopilot has just kicked off and the attitude indicator is depicting an attitude that is well outside of normal parameters. You must respond quickly and correctly to preserve the safety of your aircraft and its passengers. 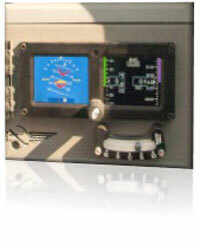 While all Upset Prevention and Recovery Training (UPRT) prepares pilots for upset situations, the scenario described requires rapid interpretation of unusual instrument indications and the ability to correct the situation employing the core skills of the APS All-Attitude Upset Recovery Strategy™ in the instrument environment. Core UPRT skills are expanded in the instrument environment with stall and severe attitude recoveries. The skills are reinforced on the first day of training and are practiced once more using a state-of-the-art electronic flight instrument system (EFIS) attitude indicator. In addition to applying UPRT core skills in instrument conditions, the instrument flying enhancement allows additional practice that strengthens understanding, refines accurate application, and aids in retention. If you fly at night and in the clouds, it is these types of conditions where you could encounter an unexpected upset event. The instrument enhancement training module provides confidence in your abilities, regardless of the conditions you fly in. This enhancement can be added onto any of the base programs listed here. Click ‘Read More’ beside the program for additional information.